The Nissin i60A is a palm sized high power flashgun, designed to be perfectly balanced with your camera in a compact, lightweight body. The i60A features a high power output of 60GN (at ISO 100, 200mm zoom head position) with high-speed synchronisation and is Nissin Air System (NAS) Compatible. Ideal for travel and compact camera users, the i60A can also be used for video, thanks to an LED Video Light function. Combined with the Color LCD display and selector dial design, the i60A gives the user the most convenient way to take full control of the flash. 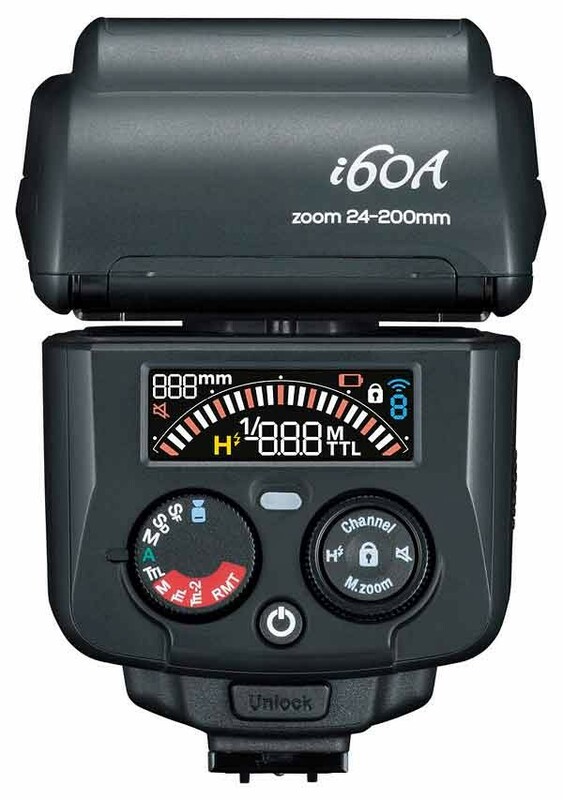 The zoom range can auto or manually adjusts from 24mm-200mm. The flash comes equipped with a built-in diffuser that gives a 16mm lens coverage. A Soft box is included for the specially designed flash head, to soften the light output and reduce shadows. The user can extend and retract the Fill-in reflector (bounce card) even when the Soft Box is installed. The flash head rotates horizontally 180° to right and left and tilts up 90°. This makes bounce shooting more arbitrary, with more angles that can be used. 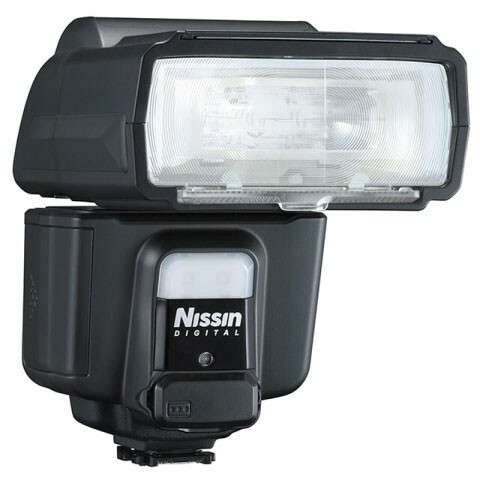 Nissin i60A has a video light function, which has 9 steps of output level adjustment. The i60A has a durable metal hotshot design (not available in Sony due to limitation of the Multi Interface design) with a quick release button. It is easy to install and reduces the chance of damage caused by installation. Supports Canon E-TTL/ E-TTL II, Nikon i-TTL and Sony ADI/ P-TTL. Various slave settings offer Flexible optical wireless flash combination (Slave Mode only).